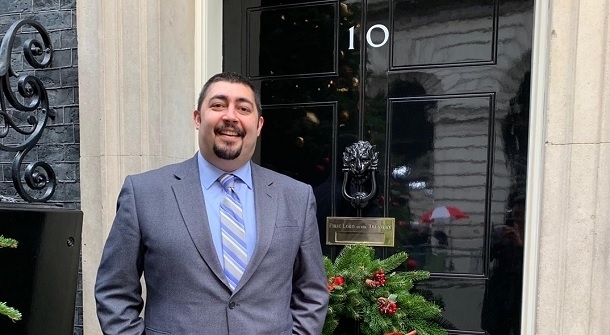 Matt Turner, the CEO of The Creative Group, was invited to 10 Downing Street last month by the Small Business Minister Kelly Tolhurst, as part of a roundtable session to discuss what more the government can do to help small businesses after Brexit comes into effect. The Creative Group is the parent company of four businesses which includes; Creative Pod, a full-service marketing agency, ECHO, a sponsorship brokerage, Printshop, a full-service printing agency and SquareOne, a market entry specialist. Matt is incredibly ingrained in the Sussex business community, being a Patron of Chestnut Tree House, as well being one of the founders of Young Start Up talent, a community initiative aimed at budding entrepreneurs aged 18-25 looking to start their own business. All of this, of course, makes him incredibly well versed on the topic of small business and the impacts Brexit could potentially have on small business owners. The event, which was set up by Emma Jones, who was appointed as Small Business Crown Representative in 2016, is the founder of Enterprise Nation. It is her role to identify barriers to small businesses doing business with public sectors, and supporting the launch of the ‘open for business’ campaign to help show that the government is indeed open for business for SME’s in helping them bid for, and win, more contracts. Matt Turner, CEO of The Creative Group, said: “I was incredibly honoured to be invited to be part of such an initiative. It was such a surreal experience to walk up to the doors of 10 Downing Street, to offer my expertise on running small businesses. The session was incredibly insightful and I believe the roundtable gave the government some valuable feedback to take forward.